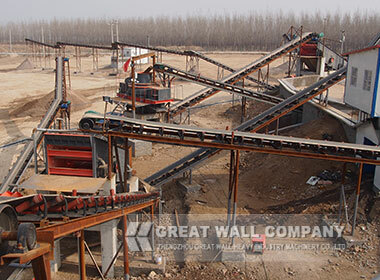 Belt conveyor is used for transferring bulk or packaged materials.Belt conveyor is widely used in the industry of mining, building materials, metallurgy, coal and so on. 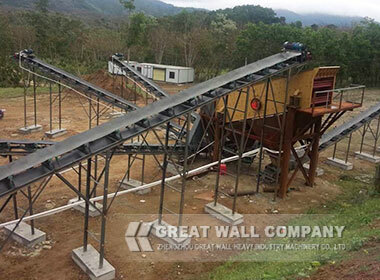 According to various transferring requirements, the transferring system can be single or multi-conveyors or combined with other equipment to make up slope or horizontal transfer system to meet the need of different working conditions. 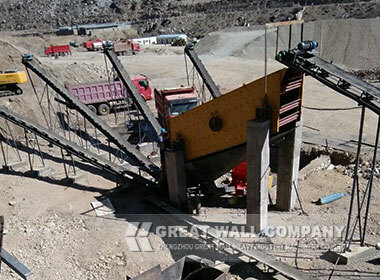 The machine has advantages of large transfer quantity, simple operation, convenient maintenance and standard parts of the conveyor. 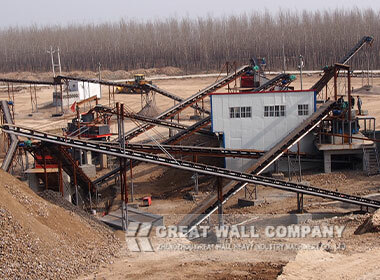 Belt conveyor is one kind of continuous conveying machine , which uses rubber belt as pulling and loading parts. Conveying belt pass around the drum rolls and turnabout drums , which forms a closed circuit. The loading and empty return parts are all supported by the carrier rollers, the tension device strain them by an appropriate power. When it works , the motor drives the drum roller by reducing device and chain, the drum roller turns the belt conveyor by frictional force, the material moves together with the belt and being discharged at the end . This belt conveyor has the advantages of high capacity, simple structure , easy maintenance, standard components and so on .